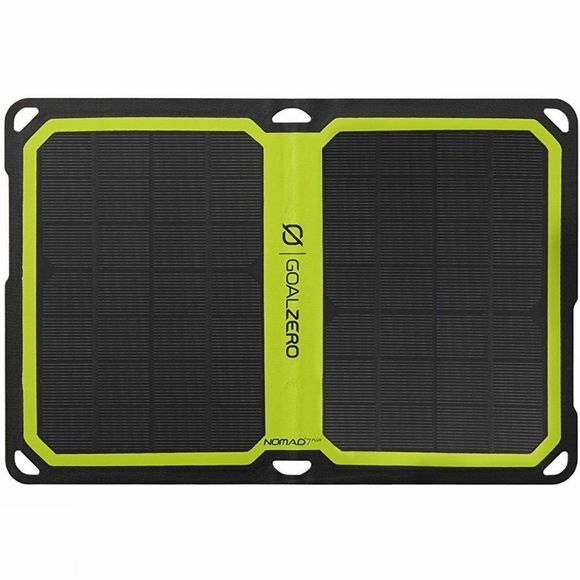 The Nomad 7 Plus Solar Panel from Goal Zero is the smart way to charge your devices anywhere. It has been redesigned to be smarter and light and uses innovative technologies to charge directly from the sun. With its removable kickstand and power-flow indicator give you the best solar charging capabilities. It is designed to be used outdoors and is modular so you can connect multiple panels for improved charging. 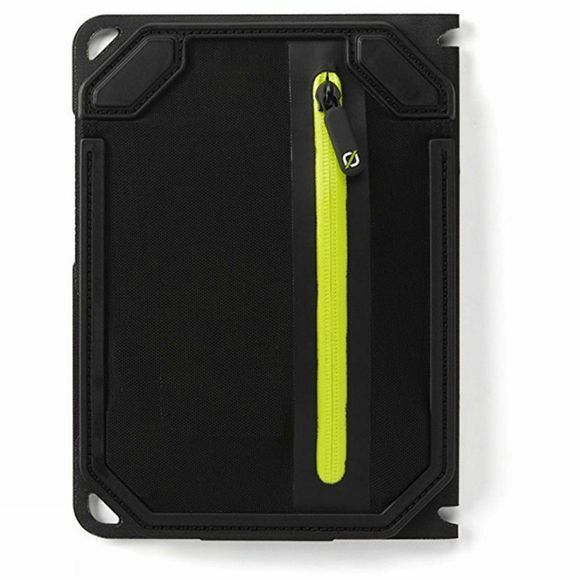 It includes a zipped vented pocket on the back for storage of cables and to keep components out of the sun for improved performance. It features an auto-restart function so if the device disconnects prematurely due to going into the shade, for example, it will automatically reconnect the device. Intelligent components give you the necessary output whatever USB device you are charging. It has an easy to read solar intensity LED indicator and junction box which displays the strength of sunlight and is also useful to offer instant feedback to optimise solar placement for maximum charge.